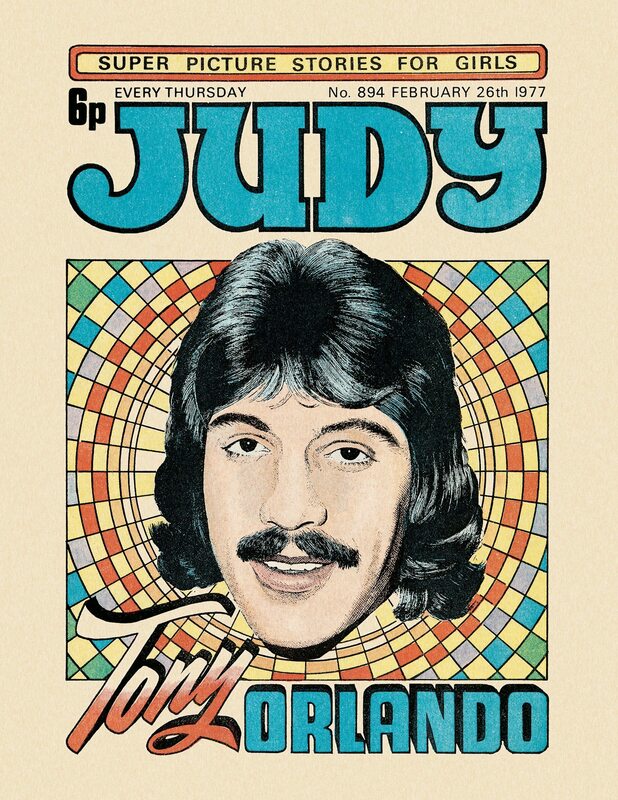 In the 1970s, Judy - a weekly girls' comic published by D.C.THomson, had a bit of a mid-life crisis makeover and trendy pop-stars of the era began to appear on the cover. 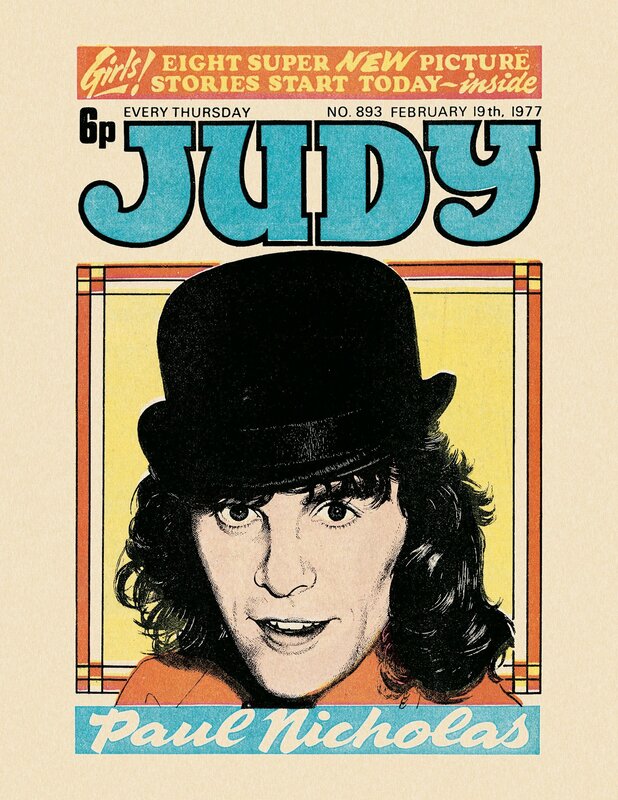 Judy, front cover featuring Paul Nicholas. 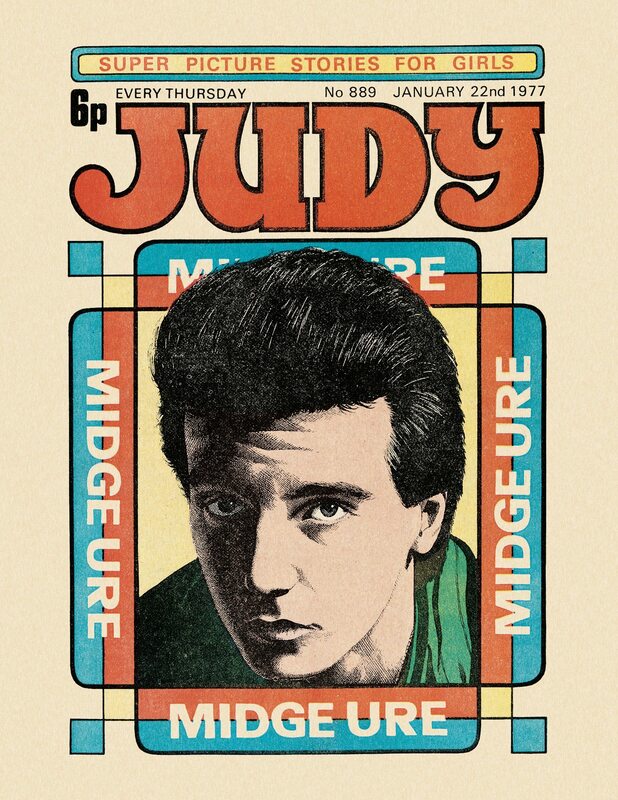 Issue No.893, 19th February 1977. 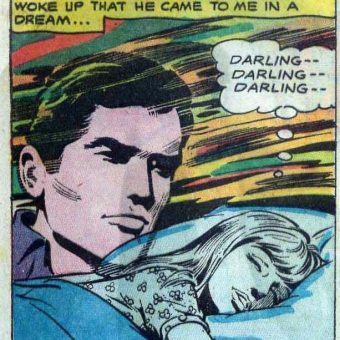 Judy was a weekly girls’ comic published by D.C.THomson from 16th January 1960 through to 1991. 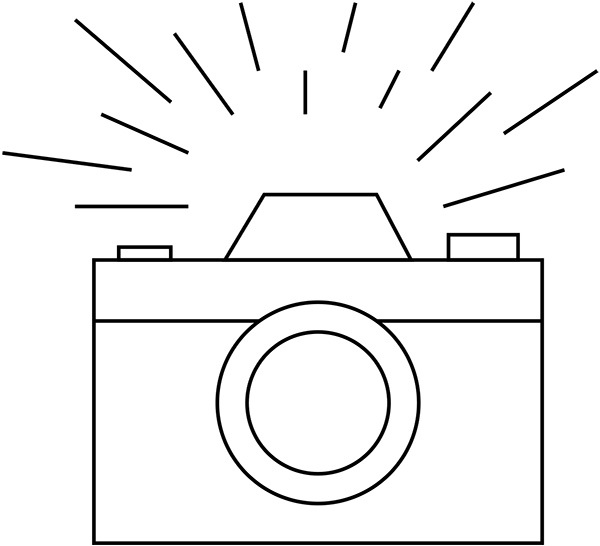 In the 1970s it had a bit of a mid-life crisis makeover and pop and TV stars of the era were placed on the cover. In 1991 the comic merged with another DC Thomson comic Mandy and for a short while became known as M & J. 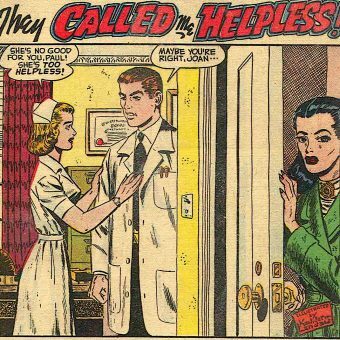 That particular incarnation assimilated with Emma and Tracy in 1991 – there were a lot of girls comics in the sixties and seventies so keep up (Jacqueline Rayner covers a lot of them in her excellent article in the Guardian). 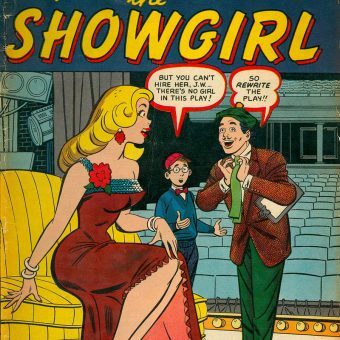 Finally the comic that was once Judy merged with the mother of all girls’ comics Bunty in 1997. 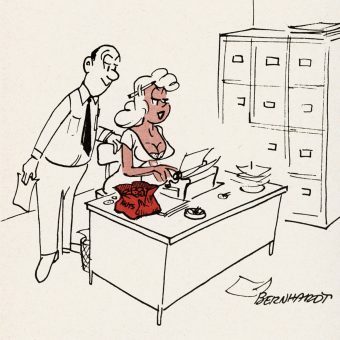 Even Bunty couldn’t last for ever and Bunty incorporating Judy, Mandy, Emma and Tracy ceased to be published in 2001. 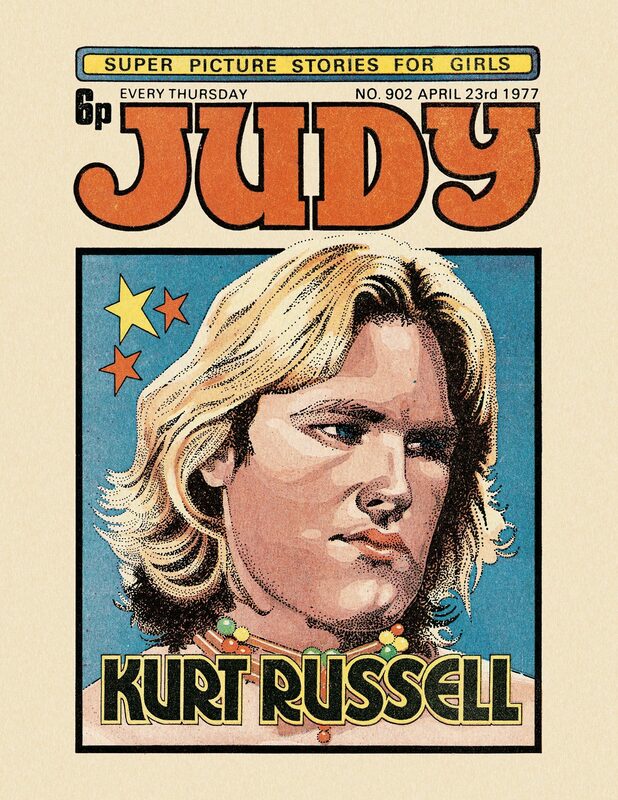 Judy, front cover featuring Kurt Russell. Issue No.902, 23rd April 1977. 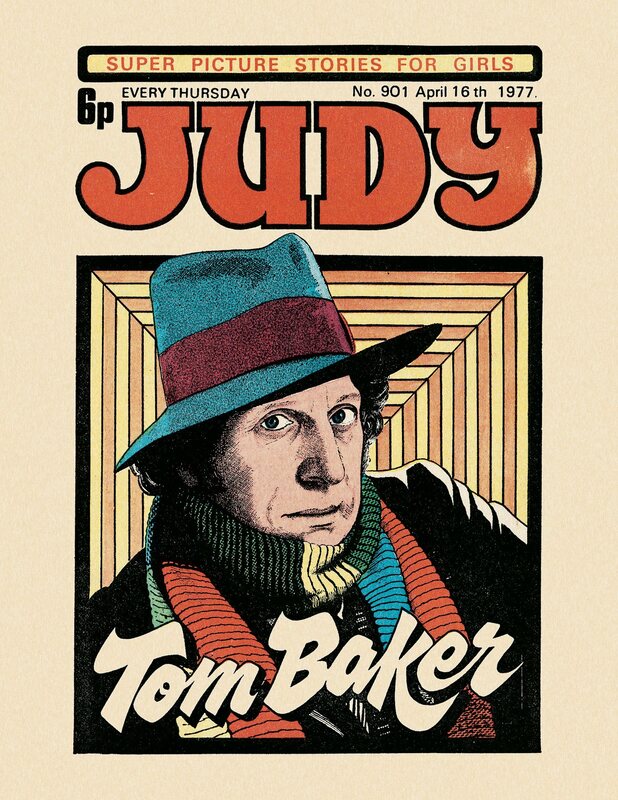 Judy, front cover featuring Tom Baker. Issue No.901, 16th April 1977. Judy’s strips included Judy & Co.; Sandra of the Secret Ballet; Supergirl; Sally of Studio Seven; Petra the Party Maker; Topsy and the Scientist’s Secret; Marina and the Monster; Patience in the Saddle; and of course the best of them all Bobby Dazzler the only girl at Westbury boarding school for boys. 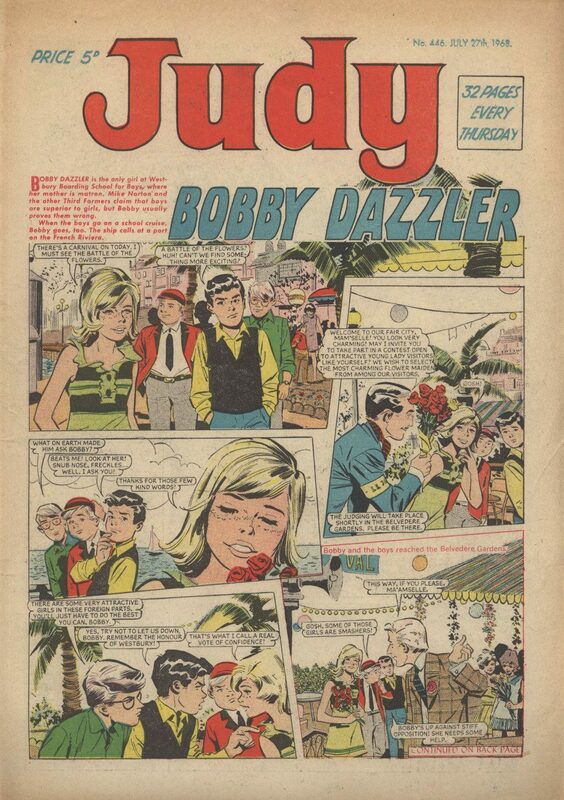 An old style Judy cover from 1968 featuring Bobby Dazzler.